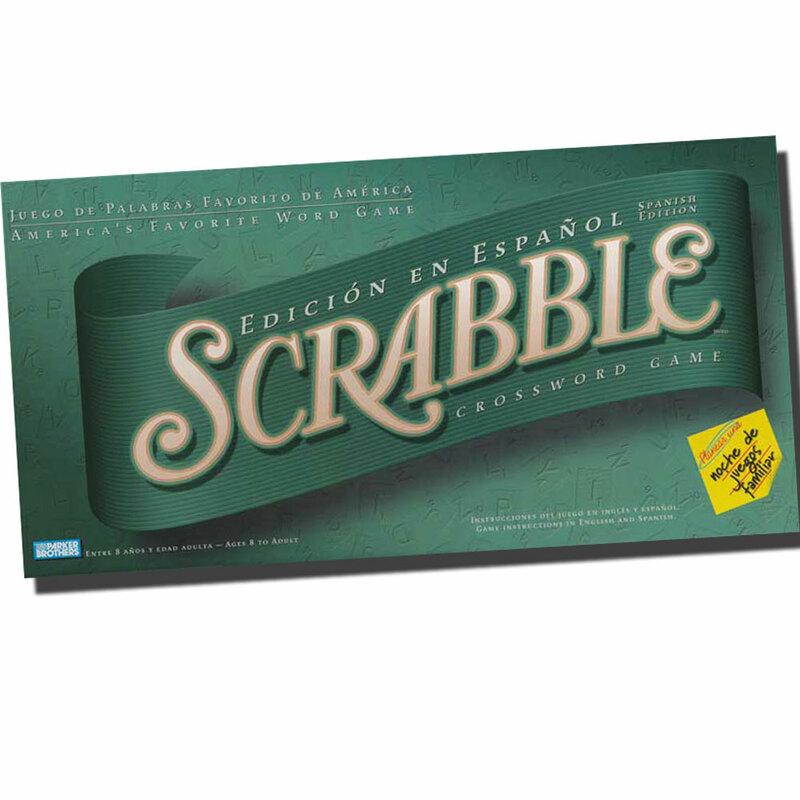 Practice Spanish Vocabulary With Scrabble in Spanish! This classic game is a kid favorite! Build your students' vocabulary, improve their spelling and watch as they have a great time! 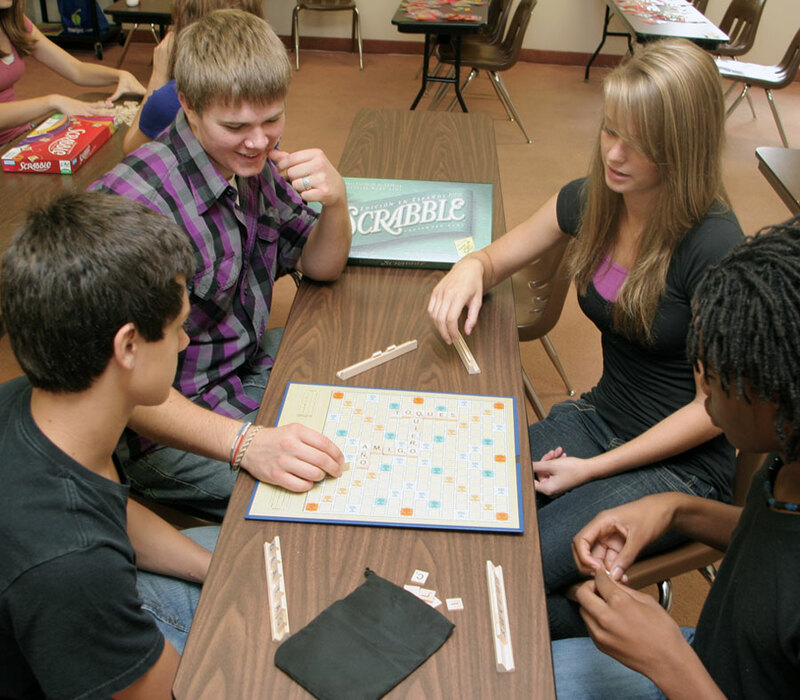 Each player uses their seven wooden letters to create a crossword as they earn points for the value of the letters they use. 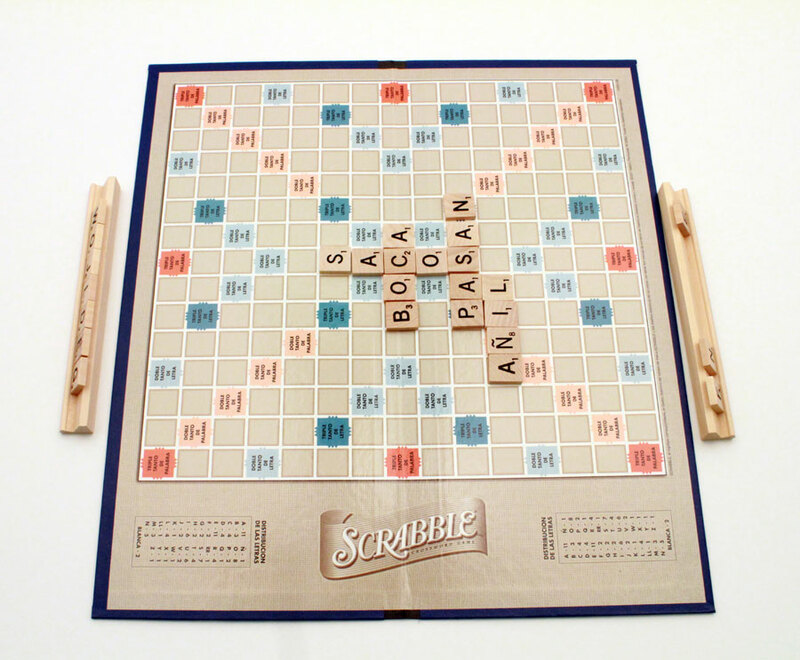 Spanish Scrabble includes the game board, 100 wooden letters, letter storage pouch and four letter racks. Two to four players. All levels. 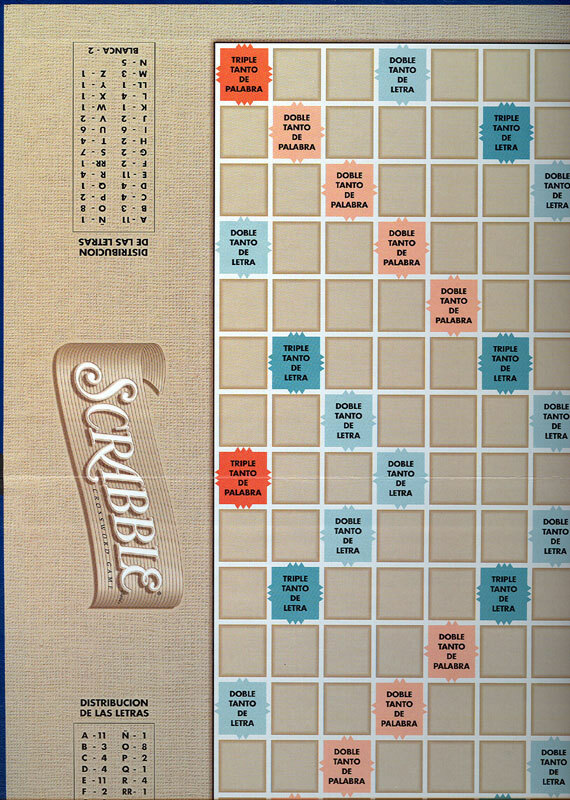 Love Spanish Scrabble? Check out Spanish Bananagrams. 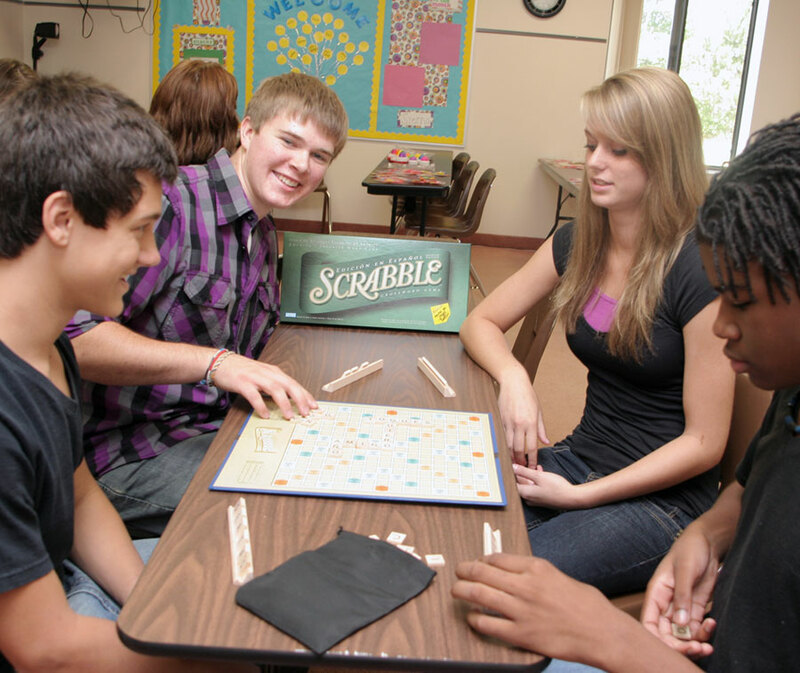 Spanish Scrabble is great for Spanish class! I used this with my classes (Sp I & II) for the first time today, and we had a great time! We played in teams & I let the students use their dictionaries to find words. Upon placing each word, students had to tell what the word meant, so we could learn new words. 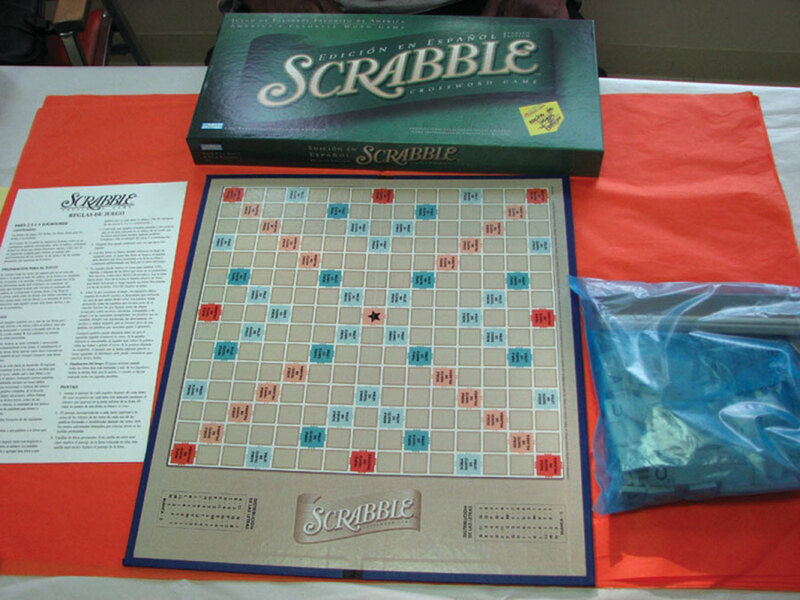 We plan to make Scrabble day a monthly happening. Cons - This is the most basic game version. Since teachers are most likely to use this with teams, the spinning board in Spanish would be a big plus!